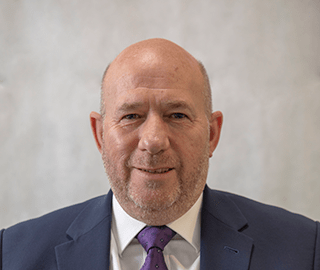 Brian is a qualified Financial Planner with more than 30 years’ experience in the profession, having previously held managerial positions with Prudential and Norwich Union. He established and built up a successful independent financial advisory practice based in High Wycombe before co-founding Ergowealth. As our Operations Director, Brian is responsible for day-to-day management and business development, particularly nurturing our professional connections with accountants and solicitors. Brian loves classic cars; he’s the proud owner of a 1960 MK2 3.8 Jaguar, which he has fully restored over the past twenty years. In 2017, Brian returned to Grass Track racing after 38 years away from it; he now has three 500cc racing bikes. All regulated financial advisers must be authorised by the Financial Conduct Authority (FCA) and therefore appear on their register. You can find Brian’s entry here. Furthermore, all advisers must have an up-to-date Statement of Professional Standing (SPS). This shows they are suitably qualified and have carried out the required amount of Continuous Professional Development (CPD). You should be wary of any advisers who refuse to provide copies of their SPS. You can click here to view Brian’s. Enter your details below to sign up for our newsletter and be the first to hear about any news and updates. If you’d like to come in and chat to us over a coffee, we’d be happy to welcome you into our Marlow office. If you’d like to find out more about our services, please get in touch via our contact form. Ergowealth Ltd is an appointed representative of Sanlam Partnerships Limited which is authorised and regulated by the Financial Conduct Authority. Company registered in England number 08302405. Registered office: Derwent House, Dedmere Road Marlow Buckinghamshire SL7 1PG. Decisions should not be taken based solely on the content of this website and individual advice should be sought first. Regulations, levels and bases of taxation are subject to change.